For all the rants, ramblings, and grumblings you read in my blog, I won’t be surprised if you think I am very social and chatty person in real world!!! But people who know me very well in real world would laugh out laud if someone even suggests that. I am one of those people who hate the lime-lights and small social talks and are comfortable when I am with few people who are very close to me. To be frank, I shy away from moments like that. So it is great surprise to my family and friends who read my blog how out spoken and chatty I am while posting recipes and how easily I share my feelings or memories with total strangers. You see, it took them quite long of time and lots of patience to know and understand me ;) Many people I met still believe I have major attitude problem where in reality they fail to notice how difficult I find it when it comes to small talks. Life is full of contradictions and after all we are just humans!!! So that’s why I have many friends but very few close friends. Likewise, I have many favourite recipes but very few which I like to eat every other day. These recipes are simple and homely, just like me ;) One such recipe which I cook very often and eat is Palya or simple vegetable stir-fry. Vegetables stir fried with a tempering of nutty channa and urad dal and mustard with a hint of spice from chillies, both dry red and fresh green, and sweet note of jaggery, with minimal oil what makes it healthy, quick and utterly delicious side dish. This time I made it bit different from usual vegetable stir fries. Usually my Amma made Carrot-Beans Palya where small pieces of Carrots and French Beans are stir fried with few spices. In the end she would squeeze few tsp of fresh lime juice giving it a little sour note. Addition of channa dal as one of the main ingredient is inspired from Sailu’s Kobbari Senaga Pappu Kura recipe. So please do refer to her blog for another healthy way to eat your vegetables and lentils and to see beautiful photos. I used Runner Beans, which I have become very fond of, instead of French Beans. What I loved the most is the nutty taste of cooked Channa Dal. The Palya was so delicious I ended up eating it as lunch and later at night I served it as side dish with Phulkas and simple Tadka Dal. I am sending this bowl of Carrot-Beans-Channa Dal Palya to dear Pooja for her Theme-Independence Day event and also to Anisheetu who is guest hosting SWC-Karnataka. Wash dal, 2-3 times, in clean water till the water turns clear. Place it in a pressure cooker or any thick bottomed vessel with lid. To this, add turmeric powder and few drops water. Cook covered in 1½-2 cups of water till it is cooked thoroughly, stirring in between. Make sure the dal should not turn mushy and should retain its shape. I cooked using thick bottomed pot and it took around 15-17 mins to cook. If using pressure cooker, cook for 8-10 mins or just one whistle. Drain water and keep it aside till needed. Heat oil in a pan and add mustard seeds to it. Once mustard starts to pop and splutter, add urad dal, channa dal, broken dry red chillies, curry leaves and hing. Sauté till dals turns light golden yellow. Now add jeera and sauté for few more seconds till it turns light brown. Mix in chopped carrots, runner beans, slit green chilli, salt to taste and jaggery. Add about tbsp of water and cook covered for about 5 mins on medium to low flame. Open the lid and mix cooked channa dal and mix well. At this stage add another tbsp or two of water and mix well. Cook covered for further 5-10 mins on medium to low flame, stirring in between to make sure vegetables doesn’t stick to the pan. Mix fresh/frozen grated coconut and fresh lime juice and switch off the flame. Serve this hot with Rice/Chapatti/Phulka and Rasam/Dal or serve as evening snack. 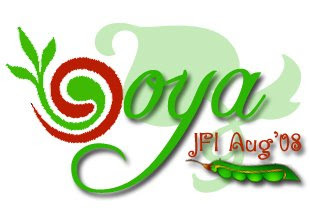 Same dish can be prepared using other vegetables like Cauliflower, French Beans, Potatoes, and Capsicum/Bell Peppers. 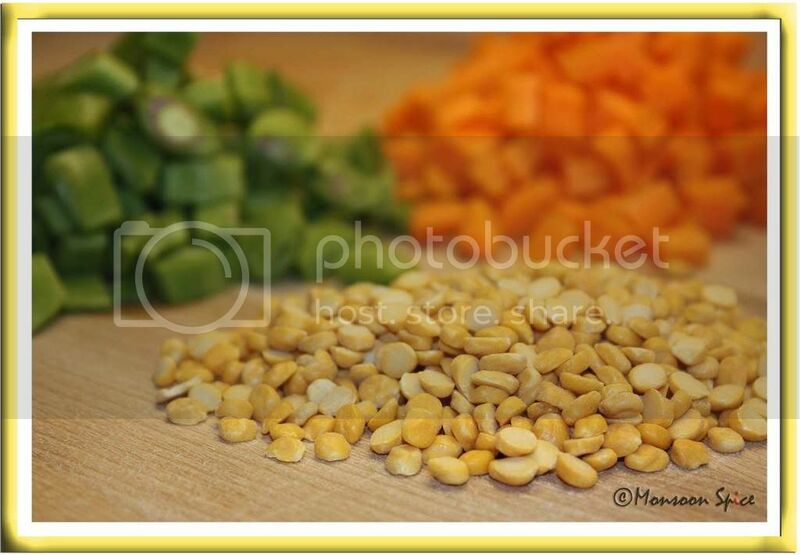 Vary the quantity of carrot, beans and channa dal used according to your preference and taste. I love this recipe because it uses jaggery and lime juice! We make this at home, but in a very simple way, just boil carrot/beans with salt, turmeric, and red chilly powders, and add grated coconut in the end. I am sure this tastes far better, because of all the flavours! Will try this version soon:-)Awesome entry. hi sia, what a nice simple dish, and great pics as well. Thanks for this yet another lovely entry sweetheart. It looks killing really. Thanks. 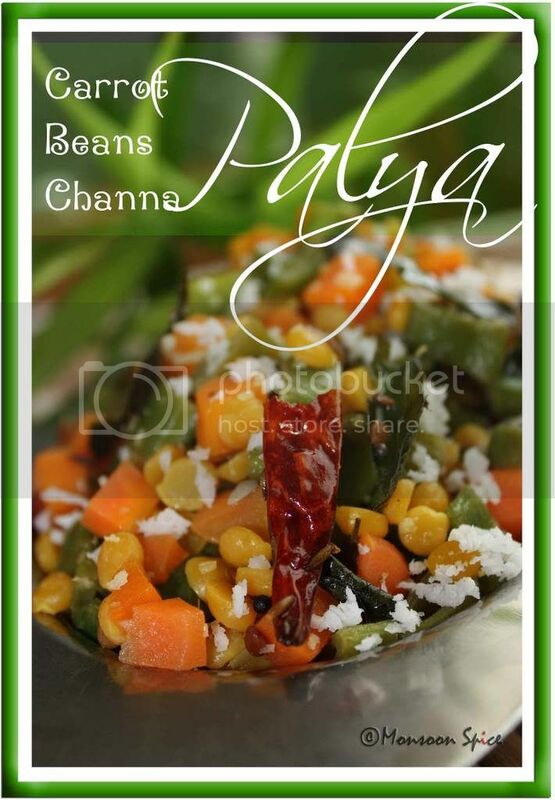 i soooo agree with u sia, love the nutty taste of cooked chana w/ veg :) palya looks yum! Simple and comforting and delicious too. Lovely pix, Sia! I've never tried this with jaggery so I'm curious. We make cabbage with channa dal tis way, mostly, but I haven't done it in a while because I'm so keen on trying out new things. The palya looks colourful and yummy! That looks very tasty indeed. I can see why it would be a favourite. Beautiful Palya Sia, Adding channa dhal gives u the crunchy bite which i love :) Killer pict! playa looks delicious, Sia!! the picture is beautiful as always! theres soemthing for u on my blog!! Sia, the pictures are beautiful! Oh, and that picture is simply fabulous! I like channa dal and add it to most of my dishes even if the recipe does not demand.I like its soft and crunchy taste.I was also waiting for carrot recipe because there are plenty of it which i want to cook soon. I add chana dal when I am run short of veggies! So this is one of those stir fries that is made when there is only one carrot, a handful of beans and a potato left!! The rest is taken care of by the chana dal. The jaggery is a new addition! 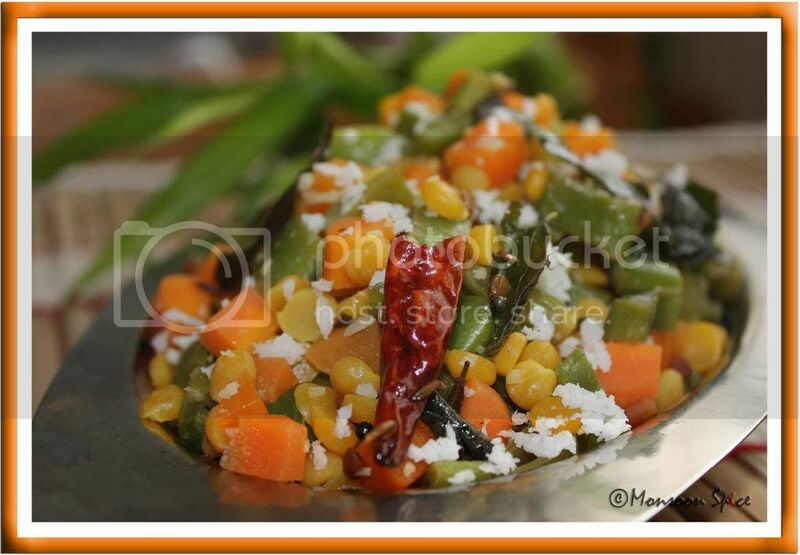 I am a little wary of sweetness in veggies but I am sure husband would welcome this - he likes this kind of combo! BTW, your blog does sound chatty, so it is really hard to believe you are un-chatty!! I'm a bit taken aback, as each and every word of what you wrote in the first para could have been mine. It is a pleasure to come here. This is very awesome website that i have ever seen.Hats off to you. All your recipes are wonderful. hi sia..can i have your email id? ?your recipes are fantabulous and when i tried to contact you the microsoft outlook thing did not work..im from good ol mysooru!!! ohhh .. I have been search for a recipe like this for so long .. rather craving for it . somthing that has veggies and wee bit of coconut ,,,, yum will definately try ..
caught you year back, and loved your blor blog. tried this recipe and this is the tastiest recipe for the healthy but tasteless beans... I also tried thalipeeth, another awesome recibe. Good going.